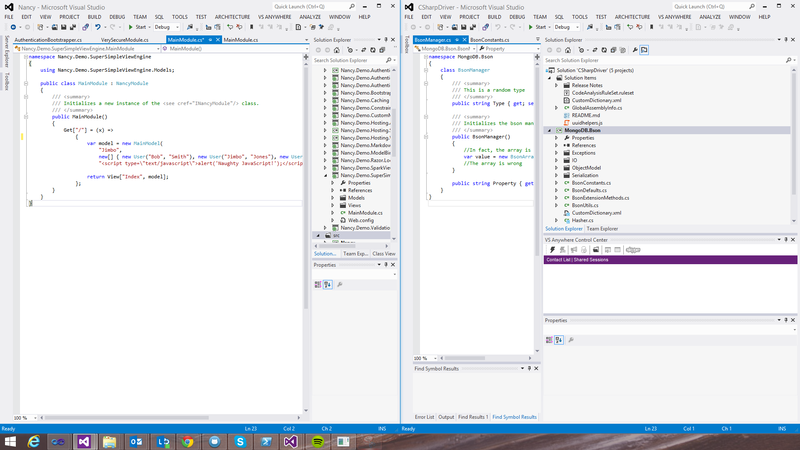 When we test VS Anywhere in a production environment, one of the things that we tend to do is to open 2 sessions of Visual Studio on either side of the screen, so we can make quick tests of specific features. This requires opening 2 different instances of visual studio by hand, and attach each side of the screen, something tedious, boring, and, above all, automatable. So I set out to find the way of solving this small issue. Surprise: is not there. On the other hand, looking a bit online, I found that the Windows keystroke could be simulated by using the Ctrl + Esc. 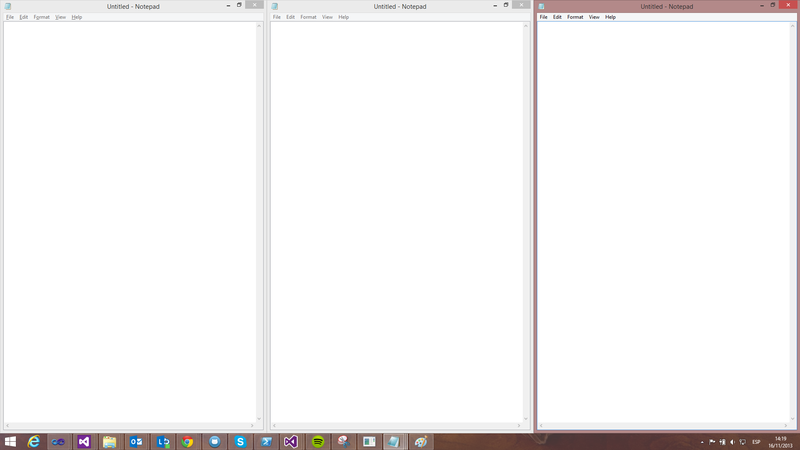 Second surprise: IT SIMULATES the WINDOWS key, and nothing else. When you press that combination, It jumps right to the desktop or to the start menu, it is not possible to use it to simulate a key combination involving Win + whatever, so that by this way little more we can do. On the other hand, if what we are doing is a keyboard shortcut, surely matches some kind of command available on the Windows API that makes the action of Aero Snap, but no, there is no API, no documentation and there is no reference except the brand name, so this is another dead end. To be able to move the window, we need its hWnd, which is a unique window identifier. There are many ways to locate it, and one of them is from the list of processes, selecting those whose main window matched with what was looking for, in this case “Visual Studio”. These are found within the namespace System.Windows.Forms, which requires in addition a reference as System.Drawing from our project. The really interesting thing about this, is that it allows us to move the window to the position we would like with any size, so we can take advantage of it in order to set any number of windows, being these equally distributed. 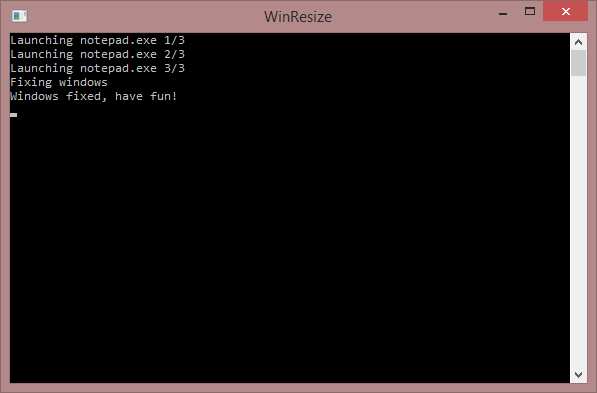 Emulate the keypress (must be a code associated with the windows key, and a way to press it!) simulating the keyboard. Rather than take all processes available, use the ID of those we’ve just created.